With the Olympics Near – China Persecutes It’s Christians! The Olympics are headed to China. And Christians are hoping to use the occasion as a platform to touch the lives of the Chinese for Christ. Apparently, as a means of conditioning the Christian church in China in the face of such potential empowerment, the Chinese government is persecuting house churches and banishing foreign Christians from the country. The effort appears to be an attempt to squelch voices who might draw attention to the plight of religious minorities in the nation surrounding the Beijing Olympics. Todd Nettleton, of Voice of the Martyrs says that the action may be intended “to send a message to the church to lay low or to make sure that anybody who might cause international embarrassment is taken care of ahead of time.” However, it is clear that there is an increase in the level of arrests, the level of house church services being raided, that sort of activity. Further, a number of foreign Christians are having difficulty renewing their visas. They are being told to leave the country, Nettleton added. So both among the house churches of native Chinese people as well as foreign Christians living and working – both are feeling the pressure. Twenty-percent of China’s Christians are part of the official church — the Three-Self Patriotic Movement or the Catholic version approved by the government. The other 80 percent go to unregistered or unofficial churches. Without permission from the government, their activities are considered illegal. They are subject to arrest. Some serve time in prison. Their meetings are often broken up. The increase in persecution, according to some Christian leaders, is that the Chinese government wants to prevent the Beijing Olympics, scheduled for Aug. 8-24, as a coming out party for the nation’s persecuted Christians while the eyes of the world are on them. Having Christians drawing attention to the religious freedom situation there would not be good PR, so they’re going to do everything they can to make sure that doesn’t happen.The China Aid Association says in its 2007 Persecution Report, that persecution against house churches in China last year was up 30.4 percent from 2006. The total number of people persecuted last year was up 18.5 percent. The total number of people arrested and detained was up 6.6 percent. The actual numbers are small given China’s immense population, but the trends do not bode well for the church there. Cases of physical abuse – beating, torture – were up 325%. Foreign Christians are treated more gently, but their arrest and interrogation rates are increasing, up 833% from the previous year. The present surge is being called the greatest crack-down since the 1950’s when the Communist Party expelled all foreign Christians. 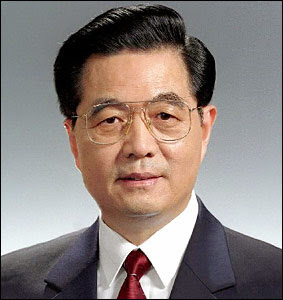 President Bush is being urged to take up the cause of Christians when he meets with Chinese President Hu Jintao in August. He is being urged to request to meet with people detained by the Chinese government for religious reasons when he attends the Olympics there. The Religious Freedom Commission is also asking Bush to attend an unregistered house church to draw attention to the Chinese government’s religious freedom violations. Original Report by Erin Roach, a staff writer for Baptist Press.